Why is it important to get the best car battery for cold weather? Cold weather won’t interfere with the flow of electricity but it will affect the chemistry of your battery. This means that you could get stuck in the middle of nowhere if you don’t have a cold weather battery in cold places. Let’s look at what you can expect from an effective cold-weather battery from the table below. Here is a review of the three best batteries for cold weather. 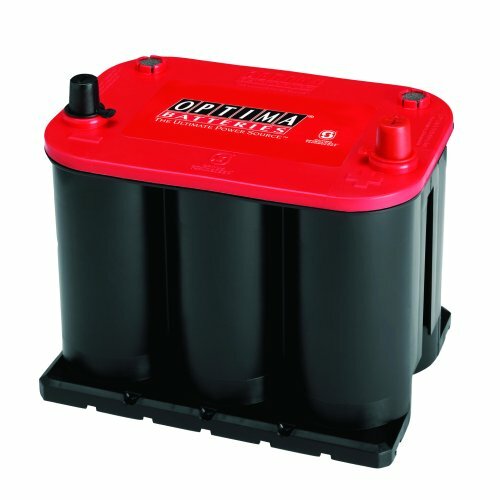 The Optima Batteries 8004-003 34/78 RedTop has leak proof elements and high power that customary batteries can’t match. However, its main attraction is the ability to start your car in any climate. Professionals in the car starting battery industry recommend this battery for users of heavy applications. Hence, you can easily use it for your hot rods and off road vehicles. And you will be excited to hear that it takes 15x more vibration than other starting batteries in its class. You can also take advantage of the 1 hour 40 minutes reserve capacity of the battery and expect constant performance. 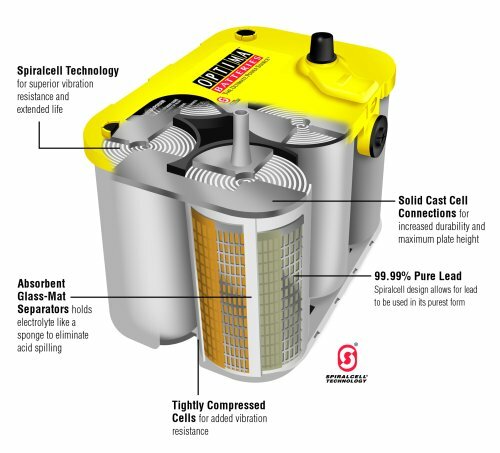 With SpiralCell technology design, the battery outperforms and outlasts traditional batteries in draining-starting and-cranking applications. Another feature that makes this battery to cater for heavy use is the alternators. They are able to keep up with all electrical loads without damaging your battery cells. That means that you don’t need to maintain your battery; simply use it as long as possible. Having a 3 years warranty means that the battery lasts long and provides the strongest 5 second ignition burst. Equally beneficial for diesel vehicles and stock vehicles. Vibration resistant and maintenance free. Mountable in various positions and quick recharging. The warranty might be voided under some situations. No manufacturer date is outlined. This battery is built for starting vehicles including trucks, SUV’s, and luxury cars. Optima has an experience of over 12 decades in this industry and one of its most popular models is the OPT8020-16435. This battery is built to provide ultimate power in harsh weather and its top is color co-ordinated to suit this purpose. Its red color means it’s a starting battery that guarantees start up every time you want to drive your car. Actually, the 35 RedTop is made to provide a burst of power every time you switch on the ignition. Additionally, the battery is 100% spill proof and withstands the coldest of temperatures and launches. And due to its high resistance to vibration, the battery is constructed for every road use. In fact, it handles 15x more vibration than traditional batteries and outlasts them twice the time. That is possible thanks to its thick exteriors, and the battery is corrosion resistant and maintenance free. Just like most Optima batteries, the Optima Batteries OPT8020-164 has Spiral-wound cells that offer better performance with every start. Spiral-wounded cells are better than traditional flat AGM batteries since they are more precise. The OPT8020-164 35 RedTop is also a highly portable and sturdy battery that is backed by a 3 years warranty. Performs better due to spiral-wound cells. A highly portable and sturdy battery. Might die instantly after a few years. Overcharging can destroy the battery. Using this battery, we can start vehicles and offer constant power. For starting small cars with many electronics, this battery is the one you should buy. 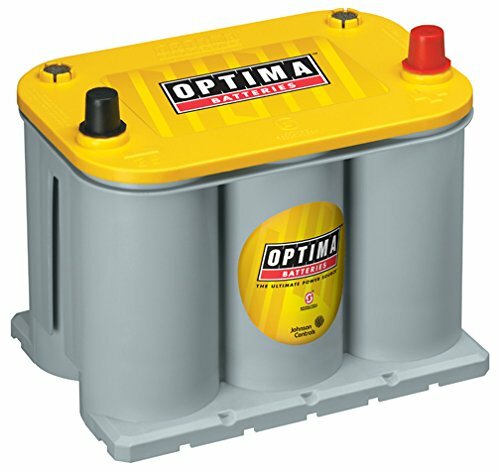 You cannot go wrong with this premium cranking power battery from optima. It is a true dual-purpose auto accumulator that offers a 3x longer lifespan than customary batteries. The battery excels in the MCA and CCA rating sections that ensure you get enough power when you need it. However, it is the CCA rating that makes it a great battery since it’s perfect for small cars. Basically, the battery is ideal for a small car that is accessory-rich. Also, it comes in an AGM design that provides low internal resistance. Hence, you are assured of getting long service life even if you use your battery for deep cycle purposes. That’s not all about this battery since it has a short recharge time of only 4 hours. And, it is corrosion resistance, vibration resistance, and shock resistance. What that means is that you can take your battery to any road and it won’t get damaged. Moreover, its design provides a spill-proof unit which provides services that last up to 3x more than customary batteries. A lightweight and compact battery. Comes with a durable exterior. Powerful to start small cars. Reserve capacity makes it ideal for trolling motors. AGM design requires careful charging. Cold Cranking Amps. This is determined by the number of amps your battery can provide when the temperature is cold. Drivers of diesel powered cars or large gas engines cars should watch out for this feature. Types of Car Battery. 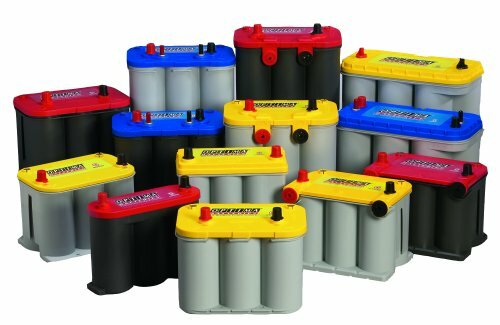 There is a wide range of car batteries out there. They range from the absorbable gas mat to lead acid to wet cell batteries. AGM is seen as the best because they don’t produce toxic acid and are maintenance free. Old age (over 8 years). Many jump starts within a short period. Slow cranking of your car engine. Working some times and not all the time. Leaking battery near the negative and positive terminals. 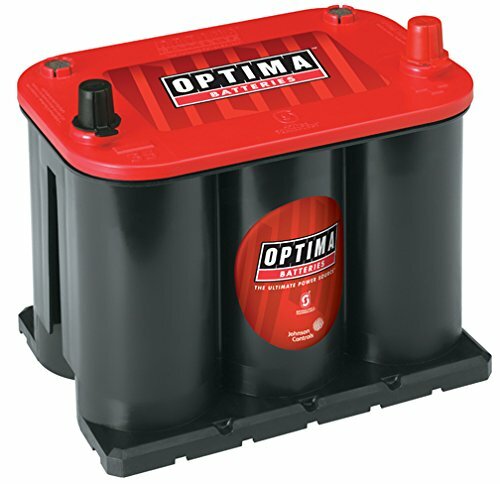 One battery for the cold climate that we would recommend you to try is the Optima Batteries 8004-003 34/78 RedTop Starting Battery. It is able to start your car in any kind of weather. Having the best car battery for cold weather can be the difference between getting stuck in the dark and getting home safely.